I Am Diagnosed with Glenoid Labrum Tear – What Are My Options? If you have been diagnosed with a glenoid labrum tear, then understanding all of your treatment options should be a priority. With a shoulder rotator cuff injury or other shoulder problems the first step you will probably take is using heat, ice, and over the counter medications for swelling, inflammation, and pain. Once your doctor has evaluated your condition you may be advised to take a prescription strength medicine for pain and inflammation. Rest is also needed for your glenoid labrum tear, so the tissues can start to recover and further damage is not done. In severe cases any movement at all may become impossible and your shoulder may become frozen. 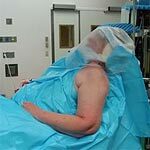 Frozen shoulder surgery can have both risks and benefits, and if you are considering this step it is important to evaluate both the pros and cons before you make a final decision. Frozen shoulder syndrome can occur for a few different reasons, including injury and previous surgery on the area. 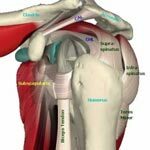 This damage causes scar tissue called adhesion, which can limit or even freeze up the shoulder tissues.